Before I can start any work on the new Dales Peak layout there are a few things to do to make the shed suitable first. 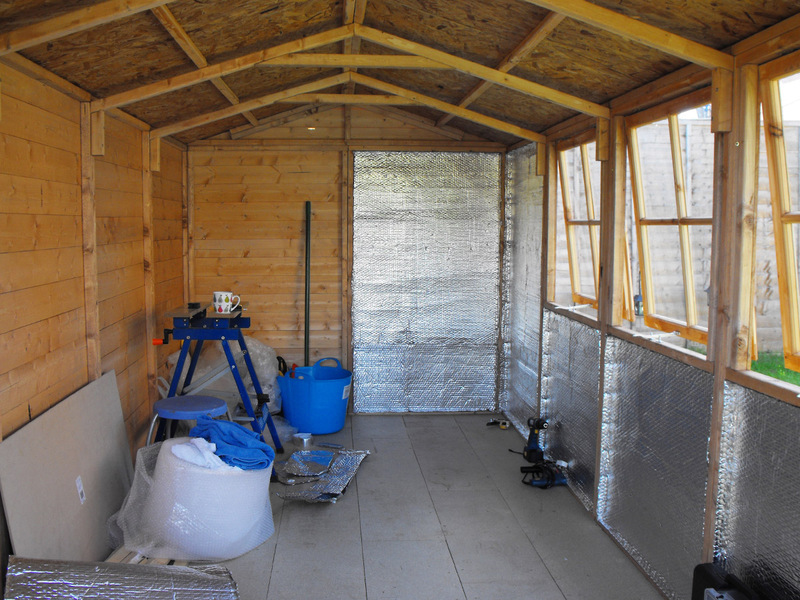 First up is insulating the walls and roof with the same foil insulation that I used in the loft. This is just cut to size and stapled onto the woodwork. I’ve done half the walls so far. This entry was posted in Preparing the shed and tagged 1:76thscale, 4mm scale, dales peak, dcc, model railway, modern image, OO Gauge, quarry, shed by Ian Robins. Bookmark the permalink.